Maison Rouge is centrally located in Strasbourg, a 3-minute walk from Place Kléber and 5 minutes by foot from Strasbourg Cathedral. 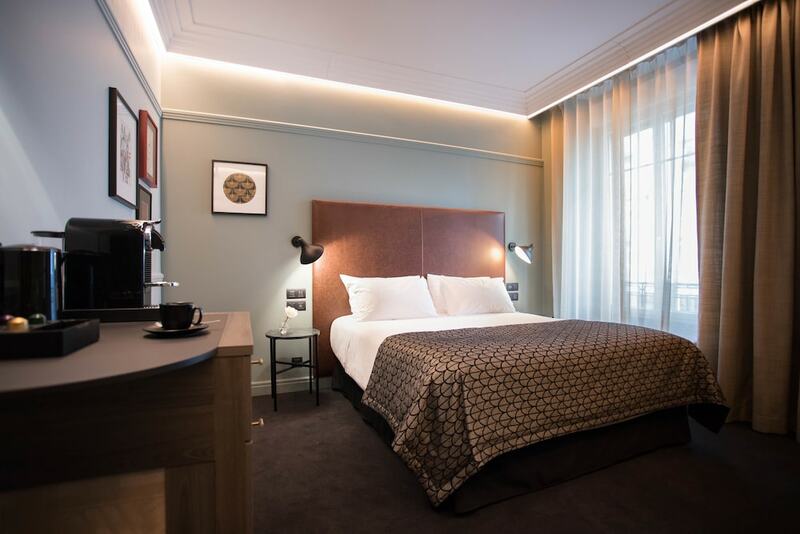 This 4-star hotel is 1.3 mi (2 km) from Train Station Square and 1.3 mi (2.2 km) from Strasbourg Convention Centre. Make yourself at home in one of the 142 individually furnished guestrooms, featuring minibars and flat-screen televisions. Complimentary wireless Internet access is available to keep you connected. Private bathrooms with showers feature complimentary toiletries and hair dryers. Conveniences include safes and desks, and housekeeping is provided daily. This smoke-free hotel has 6 floors in 2 buildings and offers discounted parking nearby. Featured amenities include complimentary newspapers in the lobby, dry cleaning/laundry services, and a 24-hour front desk. Planning an event in Strasbourg? This hotel has facilities measuring 614 square feet (57 square meters), including a meeting room.